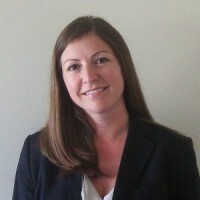 Baylor>Psychology & Neuroscience>About>Faculty & Staff Directory>Alisha Wray, Ph.D.
Dr. Wray received her doctorate in clinical psychology from University of New Mexico (UNM) and completed her clinical internship and postdoctoral fellowship at the New Mexico Veteran’s Administration Healthcare System. From 2012-2017, Dr. Wray worked in the Psychiatric Inpatient Unit at the Gainesville VA Medical Center and was also a Courtesy Assistant Professor in the Department of Psychiatry at the University of Florida. In these roles, she provided clinical services, served on an interdisciplinary team to develop strategies for improving inpatient psychiatric hospitalization treatment outcomes, and was actively involved in training psychology interns and medical students/psychiatry residents. Dr. Wray joined the Baylor faculty in 2017. Dr. Wray's clinical and research interests relate to creating/adapting, evaluating, and disseminating evidence based psychotherapies for justice-involved and Veteran populations. She also has interest in routine outcome monitoring and measurement based care. Wray, A.M., Hoyt, T., Gerstle, M., & Lietman, B. (2015). Examining Intimate Partner Violence Types in a Diverse Sample of Court-Referred Parenting Dyads. Journal of Child Custody, 12, 248-272. Wray, A.M., Hoyt, T., & Gerstle, M. (2013). Preliminary Examination of a Mutual Intimate Partner Violence Intervention among Treatment-Mandated Couples. Journal of Family Psychology. 27, 664–670. Hoyt, T & Wray, A.M., Klosterman Reilage, J. (2013). Intimate partner violence offenders with military background: Preliminary investigation of severity and recidivism. Journal of Interpersonal Violence. 29, 1094-1110. Wray, A. M., Dougher, M. J., Hamilton, D. A., & Guinther, P. (2012). Examining the reinforcing properties of making sense: A preliminary investigation. The Psychological Record, 62, 1-24. Feldstein Ewing, S. W., Wray, A. M., Mead, H.K., & Adams, S. K. (2012). Two approaches for tailoring treatment to cultural minority youth. Journal of Substance Abuse Treatment, 43, 190-203. Hoyt, T. Wray, A. M., Wiggins, K. T., Gerstle M., & Maclean, P. C. (2012). Personality profiles of intimate partner violence offenders with & without PTSD. Journal of Offender Rehabilitation, 51, 239-256. Gerstle, M., Wray, A. M., Wiggins, K. T., MacLean, P. M., Clapp, K., & Reed, T. D. (2010). The Family Assessment & Intervention Resources (F.A.I.R.) Program: A collaborative, court-based intervention for high conflict parents. In C. K. Erickson (Ed. ), Association of Family & Conciliation Courts Innovation Series.(pp. 61-94). Madison, WI: Association of Family & Conciliation Courts. Wray, A. M., Freund, R. A., & Dougher, M. J. (2009). A behavior-analytic account of cognitive bias in clinical populations. The Behavior Analyst, 31, 29-49.